Like many parents who have gone before me, the 'idea' of an afternoon of art is often much more appealing than the reality. Paint fingerprints on walls, chunks of crayons in mouths, and not one piece of fridge-worthy art later … It can be a little demoralising. Thanks to Lots of Lovely Art (or LoLA), all of this is about to change. 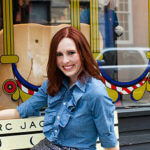 Founded by two mothers (who also happen to be sisters in law) with a shared passion for arts and education, LoLA aims to create process-based, artist-inspired experiences as a way for children to develop problem-solving skills, analytical thinking and self-confidence – of course, while having fun. After 12 years of experience, LoLA has become a hub of knowledge in bringing art and culture to the young. 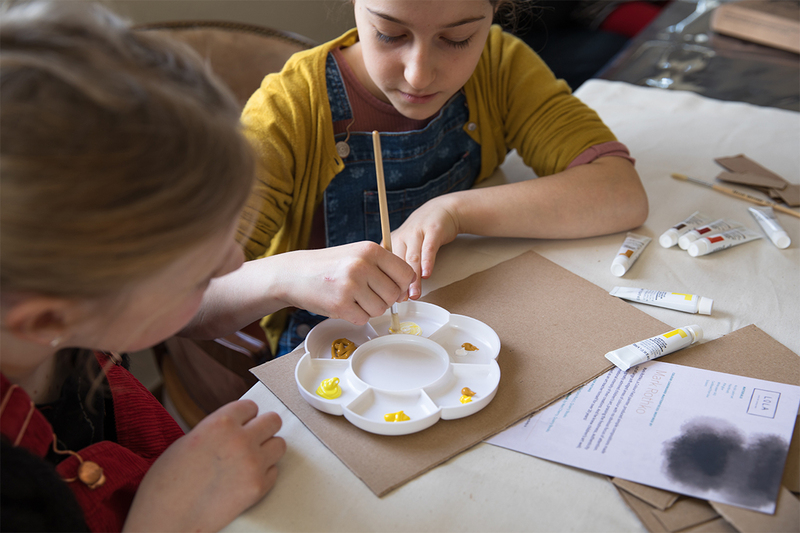 They offer hands-on workshops, art-themed birthday parties, activity tips through social media, and our personal favourite – a subscription service for artist-inspired projects at home. In other words? Our at-home art projects just became a whole lot more appealing. Bring it on. Can you tell us a bit about Lots of Lovely Art and in particular, your boxes? 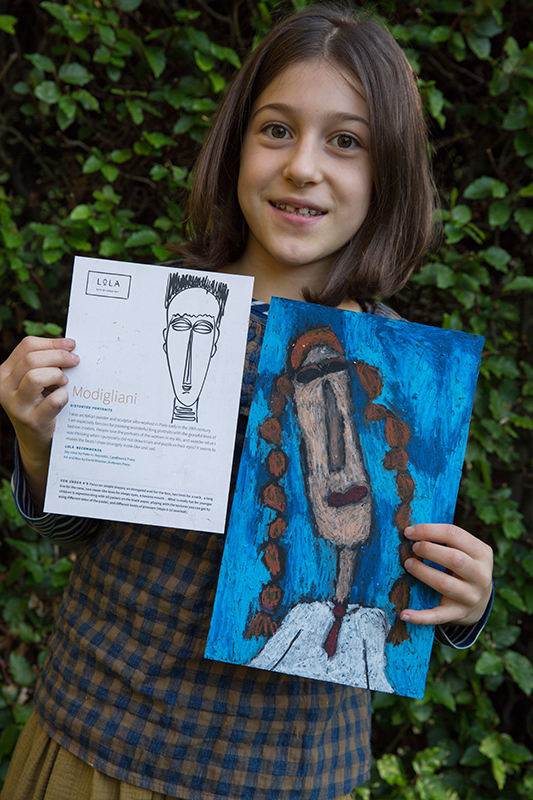 Lots of Lovely Art (LoLA) aims to provide children with easily accessible art-education tools. 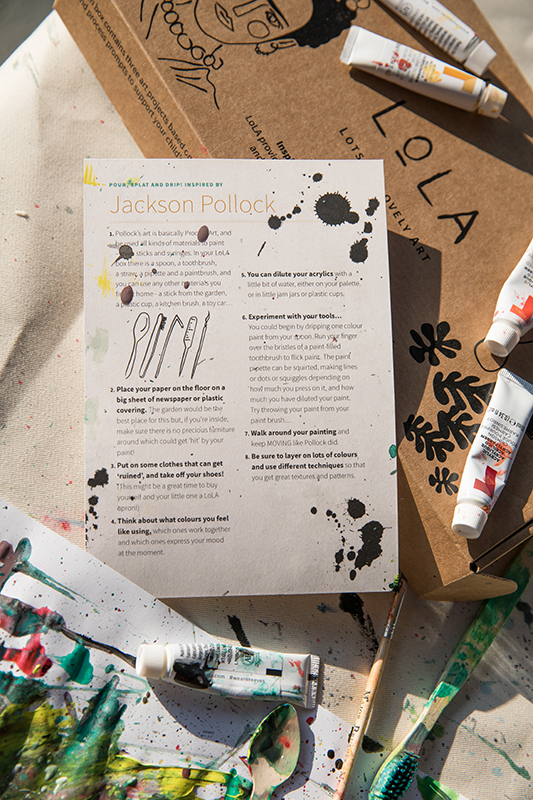 Through its art boxes, its workshops and social media, LoLA delivers art projects that are inspired by real artists. Children are encouraged to experiment at home with a wide range of materials through a process of curated creativity. There is a new art box every month, and leaflets in the box describe the overall theme. There is also information about three different artists and their styles. Children are carefully shown how the artists worked, and how they can achieve similar results. In effect, they become mini-Picassos (with the Portrait Parties box) and mini-Matisses (with the Shape Shifting box)! In addition, in each month’s box, there are four separate process-led art ideas for children to follow. And there are lists of suggested reading, and of museums and exhibitions where the artists’ works can be viewed. Tips on how to tailor the projects for the Under Fours are also included. Each box contains all the necessary art supplies for the projects. Typically, there might be a variety of different papers, Reeves wax pastels, some water paints, PVA glue, a pencil, a paintbrush, pom-poms, fabric flowers, beads and a little surprise gift! What inspired the launch of the company? For over a decade LoLA has, in a variety of guises, been supporting children’s creative education. This has mostly been through after-school art clubs, workshops, parties, Toddlerart groups and by visiting schools and working with teachers. It has, however, at times been frustrating, because there is a limit to the number of children you can reach this way! Selina and I had been wondering for a while how we could get around this. Then suddenly last September the idea of subscription boxes hit us, almost simultaneously. 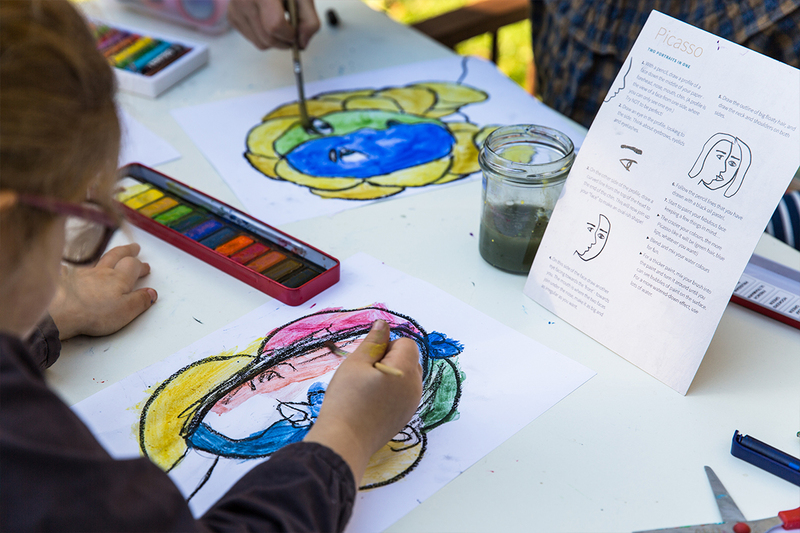 In principle, it means that children can have a Lola “art lesson” a week, in the comfort of their own homes! All my years of teaching have shown me that the best way to inspire children is through process-led projects which are fun and open-ended! As mothers ourselves, we both appreciate how important it is for things to be as simple as possible for parents in their busy lives. Hence the boxes include everything that is needed, plus clear instructions and videos, all of it delivered directly through your letterbox! Why is art so important for children? I think it is important to start by saying that although at LoLA we focus on the visual arts, the word ‘art’ can refer to all creative subjects – such as music, drama and design. 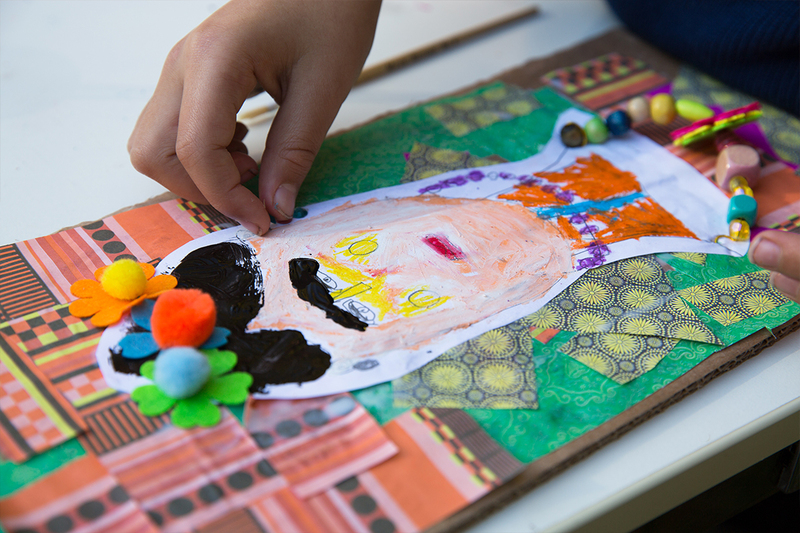 We believe that process-based, artist-inspired experiences are one of the best ways for children to develop problem-solving skills, analytical thinking, confidence and self-esteem. In recent years, school curricula all over the world have shifted heavily toward the hard-core subjects of reading and maths. Creativity, confidence and a love of the arts are not easily measurable through standardised tests. But it has been shown time and again that art education is an important building block in a child’s development. Many of the movements involved in art help in the growth of fine motor skills in children, the same skills needed by surgeons and architects. Drawing, sculpting with clay, and threading beads on a string all develop important visual-spatial skills. And for young children, talking about art provides opportunities to expand their vocabulary. A key report by Americans for the Arts, a non-profit organisation, says that young people who participate regularly in the arts (three hours a day on three days a week throughout a full year) are four times more likely to be recognised for academic achievement, to participate in a maths and science fair, or to win an award for writing an essay or a poem, than children who do not participate. 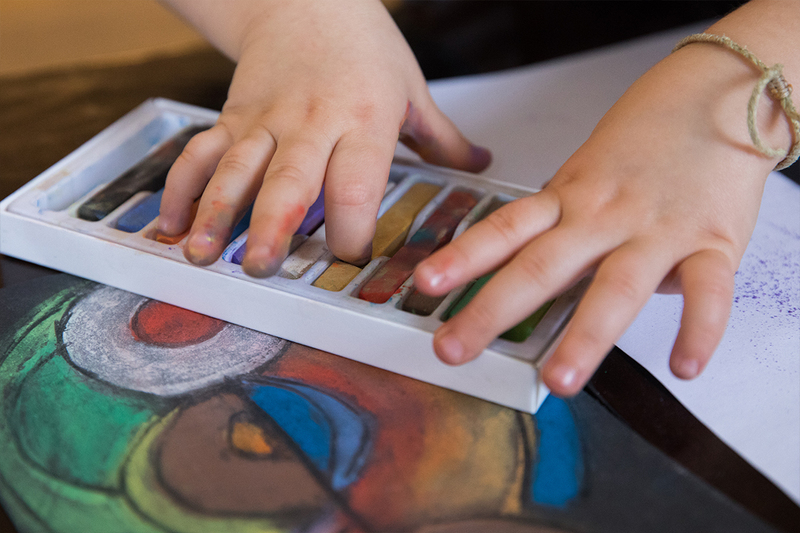 When children are encouraged to express themselves and take risks in creating art, they develop a sense of innovation, and society needs innovative people who seek new ways of doing things. Teaching children to recognise the choices an artist or designer makes in portraying a subject helps them to understand that what they see may be someone else’s interpretation of reality. Moreover, the wide variety of cultures to which children are exposed, by learning about different artists, opens up their world. 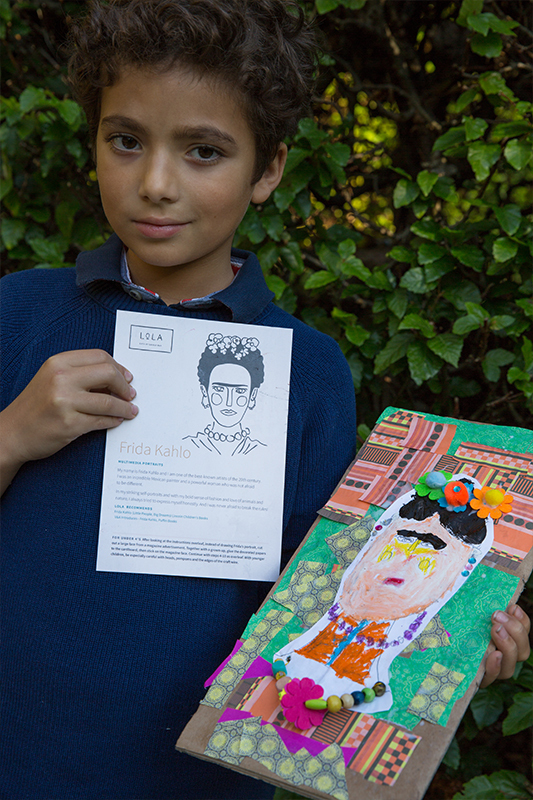 How do you encourage your own children to embrace art and to express themselves creatively? Art materials are readily available and easy to get to – they have their own small ‘art corner’ where they can be freely creative. I visit as many art galleries, museums and exhibitions with them as possible. I allow them to get freely messy, and I try not to micromanage their work. We have lots of books about art and artists – we particularly love the Little People Big Dreams series, and anything by Marion Deuchars. I introduce them to new materials that they would not normally think of trying. We do a lot with recycled materials, and we try new supplies like Plaster of Paris, oil paints, wire, etc. How do you balance creativity with screen time in your families? Isn’t this THE question?! My instinct has always been to allow no screen time at all. But I have realised, especially as my older daughter grows up, that this is not realistic in the world they live in. I think it is about teaching them to make the right choices, and for the screen to be a tool for them, rather than a necessity? To be honest, with school and homework and after-school activities, there really is no time during the week. On weekends and holidays, they love to play imaginary games, as well as reaching for the art baskets. We do not have any video games, and there is a family iPad which they use when travelling. Other than that, they really like to watch a movie, and Friday night is movie night! Tell us about your workshops. 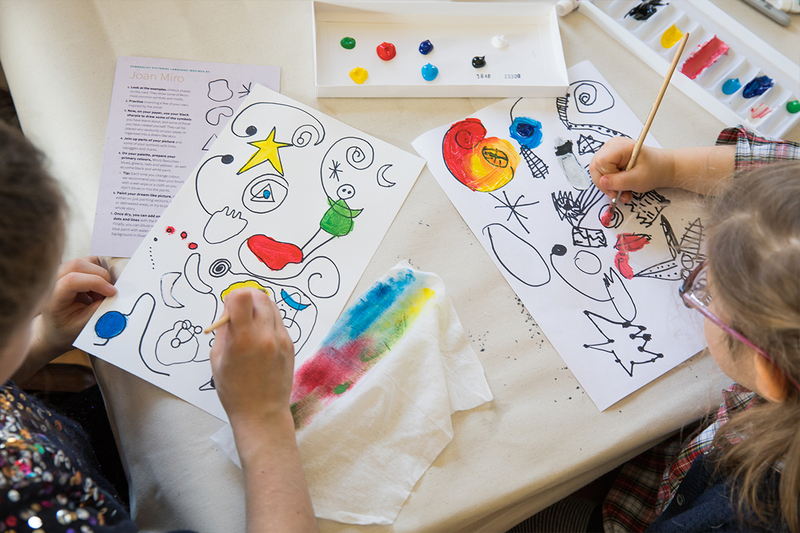 Children from the ages of 18 months to 12 years can join in our weekly workshops – either the Toddlerart groups, the after-school clubs at schools, or the specialist workshops with subjects ranging from Printmaking to Halloween, from Matisse to Weaving, and from Oil painting to Recycled art. These take place in and around Berkshire right now. But we are hoping to bring the concept to festivals and other pop events and locations over the next year. Is there a way that parents can replicate these types of workshops in their own homes? Yes! By subscribing to the LoLA boxes!!! Strip them down before you start, or have an outfit that is their “art outfit” – aprons can sometimes not be enough (and a lot of children do not like wearing them). Make sure they are comfortable and you are not worried about anything getting ruined! Bring out one material at a time – this makes it less overwhelming for them. It also extends your art time as most Toddlers have a maximum attention span of about 5 minutes! “So, 5 minutes of oil pastels; ok now let’s do 5 minutes of water painting on top; great, now let’s do 5 minutes of sticking small papers on top…brilliant, now let’s do 5 minutes of glitter” – and look: 20 minutes of creativity has passed! Things like shaving cream, toothbrushes, kitchen brushes, painting with toy cars … all the things you may have at home! If they do try to put it into their mouths, just gently repeat that it is not to eat, but to play with. NEVER leave Toddlers alone with art materials! 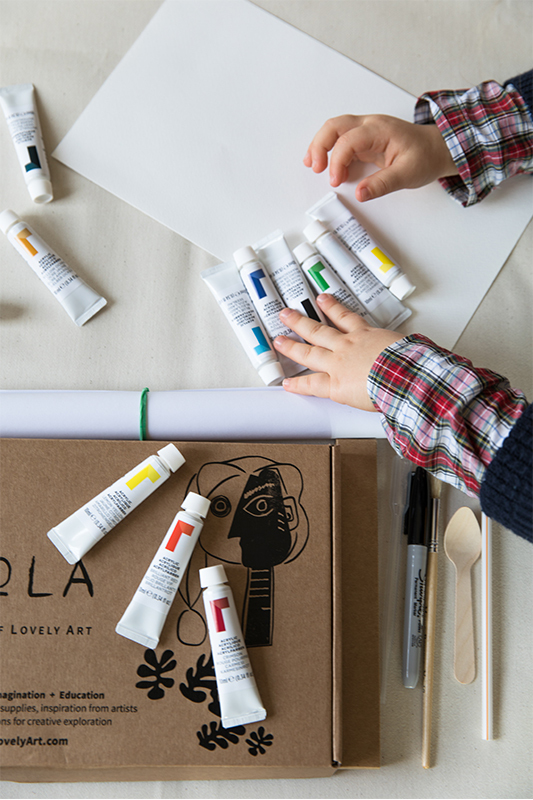 At LoLA, we are really excited to be launching Toddler art boxes this spring! What about as children are approaching teenage years? What’s the best way to encourage them to express their creativity and their emotions through art? Again, we are hoping to come out with LoLA boxes for teenagers in 2019. I think for this age group it is very much about finding an outlet to relax and let off steam – it may be something they prefer to do alone, in the quiet of their own room. As with children of any age, I think it is about making available art supplies that are interesting to them. I also think that it is important at this age that they are still allowed to create just for the fun of it, rather than with the stress of again producing a “perfect” final piece….I sometimes encourage pre-teens to finger paint and to use only their hands with acrylics, and they LOVE it! And finally - what about as adults? How do you express your own creativity in our increasingly busy lives? Sometimes adults hold themselves back because of a lack of confidence, and they want to be instantly ‘good’ at something. But our advice is to be like a child – just try it! Everything is new for children, so simply enjoy the experience – the first step is to dip your toe in the water! What are your biggest hopes/dreams for this generation of children? So much. It is such an exciting year ahead of us! There is a new LoLA box every month with a new theme. We have Toddler and Teenage LoLA art boxes in the pipeline. Eventually, we would also love to go back to our roots and open a LoLA creative space, bricks and mortar, where we could feed the kids’ sense of community again.